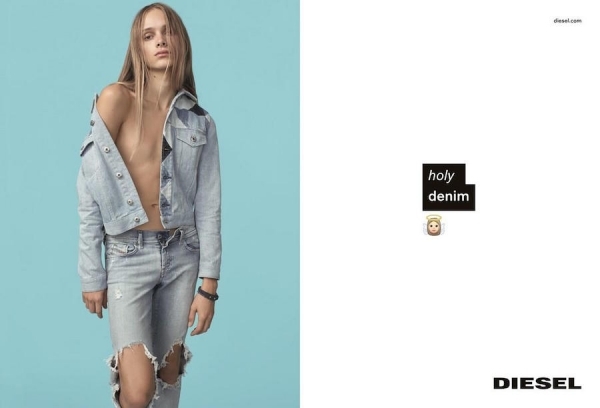 Diesel’s spring/summer 2016 campaign comments on our digital culture, its #slogans and the joyful absurdities of our online/offline behaviour. Inspired by the humorous way emojis describe real-life scenarios, Diesel commissioned its own emoji alphabet, used throughout. 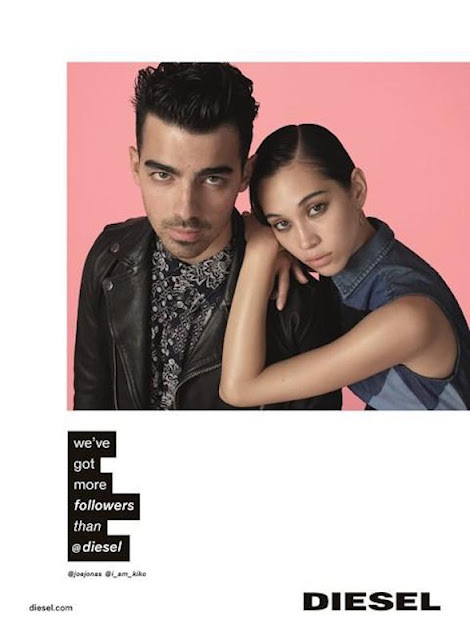 The campaign features singer and actor Joe Jonas; actress, singer and designer Kiko Mizuhara, plus Jonas’ group DNCE. 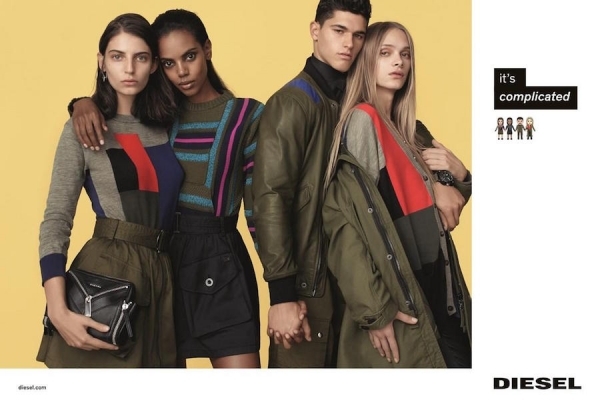 While the cast of models include Diesel family Sara Cummings and Sang Woo Kim; hunk Trevor Signorino and Stav Strashko, a male on the women’s board at his agency. Stav identifies as a girl and feels very comfortable in his own skin. The casting continues the Diesel DNA of bringing together different cultures, personalities and individuals that Formichetti finds online. Freedom is our flavour and you should be who you want. Video clips show Sang cyber flirting, Kiko sending a hyperreal selfie, Sara online shopping and Aki von Glasow left-swiping all his favourites. Social media birthed the idea ‘that moment when’ and you’ll see models fall in love with themselves, make emoji faces and tell us their #currentmood.